Instructors started the day by introducing the transportation profession and industry, with a discussion of emerging topics including safety statistics and how innovative technologies impact our lives. Students explored publicly available maps, like Portland City Maps, which visually display crashes in a variety of ways including by location, severity and frequency. The group also explored Neighborhood Pulse, a set of GIS online story maps for local communities created by the Institute of Portland Metropolitan Studies at PSU. Having gotten a sense of how these data are used and why this is important, the next step was to jump into the computer lab. They created free ArcGIS Online accounts, walked through the tutorials, and gave their first go at creating story maps. After lunch, the group stretched their legs on a walking tour with Rachel from the PSU Bike Hub. She highlighted the active transportation infrastructure on the PSU campus including buffered bike lanes, the Urban Center transit hub, and secure/enclosed bike garages on campus. Along the tour, the students were assigned to take photos of the active transportation elements. Back at the computer lab, they imported their photos and created story maps of the tour they just had completed. They even got a taste of a true research experience: the technology wasn't fully cooperative, just as it sometimes isn't in real-world GIS work. 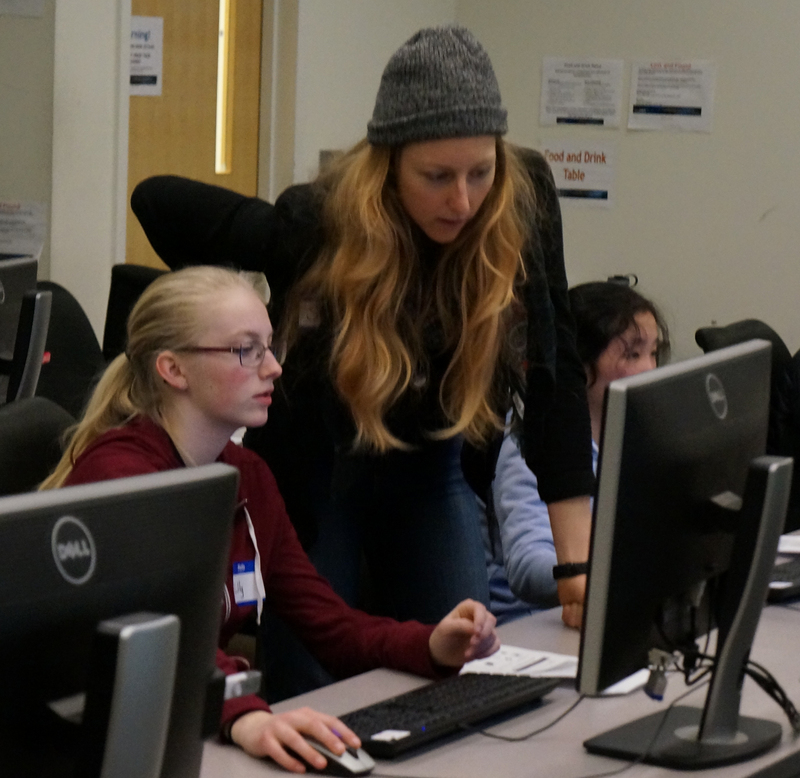 "There was quite a bit of troubleshooting that happened, as some of the photos were imported without geolocation data, but it gave the girls a real world experience of working with software!" Patterson said. The next step? Students were encouraged to take home this new skill set and access to GIS Online, and apply them to projects in their own lives: story mapping their route to school, planning their next vacation, or creating a map of Portland Must Do’s for visiting family. Our hope is that these students got a taste for transportation, and apply to attend our free, annual two-week residence camp this summer: National Summer Transportation Institute 2018. Applications close April 29th! Learn more about our education and workforce development programs, or sign up for our mailing list to receive updates.